Rose Park House B&B claimed third place in the Northern Ireland Hotels category as part of the online travel site Trivago’s inaugural Top Hotel Awards of November 2015 and was the first place to stay in Derry on their list. 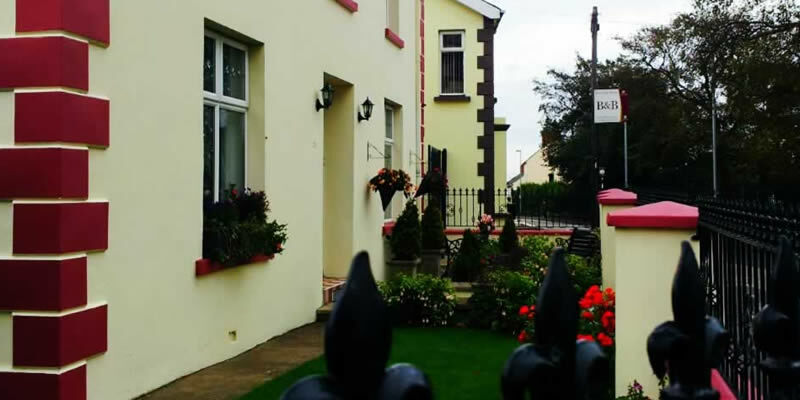 Rose Park House B&B is beautifully furnished and offers high quality bed and breakfast accommodation in Derry suitable for travellers on all budgets. Rose Park House B&B provides quiet, spacious en suite rooms, with free WiFi, Digital TV and secure off street parking. We are within walking distance the historic 17th century walled city of Derry, with its many bars, restaurants, shops, theatres and museums. Good local pubs, within a few minutes walk, also provide entertainment most nights of the week. City tours recount the plantation of Ireland, the Siege of Derry, migration to the USA, the history of the World War II port and the more recent Troubles. Our home is also a suitable base to tour the North West of Ireland, Giants Causeway, (Antrim North Coast), Glenveagh National Park, (Co Donegal) & Ulster American Folk Park (Co Tyrone) which are all within 1 hours drive. This elegant 19th century home has been in the Gallagher family for three generations. During this time we have welcomed visitors from all over the world. We look forward to welcoming you! Our aim is to provide our guests with a warm Derry welcome and a home away from home. Our motto is “Arrive as visitors, Leave as Friends“.